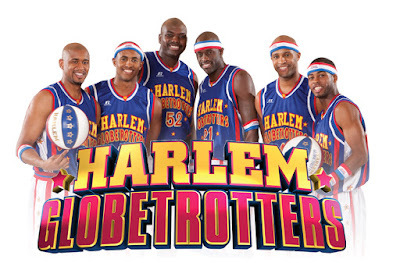 Want to see the Harlem Globetrotters when they come to Fresno this January? Enter our coloring contest and that dream could become a reality. SaveMart Center has generously donated family 4-packs of tickets to the team’s January 12, 2018, 7 pm performance at SaveMart Center, and we’re giving them away! Two Fresno County Public Library users will win 4-packs of tickets. Pick up a Globetrotters coloring sheet at your nearest Fresno County Public Library branch. Sign the back of your coloring page, with your first and last name, last four digits of your library card barcode, and (for any entrant under 18) parent/guardian’s name and phone number. By closing time on Tuesday, January 2, turn in the coloring page at a Fresno County Public Library branch. One entry per person. Winners will be chosen by random drawing. Upon submitting a coloring sheet that meets the guidelines established above, eligible followers will be entered for a chance to win the prize. The contest is open to all residents of Fresno County, with a Fresno County Public Library card/account, except Fresno County Public Library employees and members of those individuals' families. All contest entries must be submitted by end of business on Tuesday, January 2 (branch closure times vary). Winners will be selected by random draw from among all eligible entries received and announced on social media by Friday, January 5, 2018. Odds of winning depend on the number of qualified entries received, but no entrant may win multiple pairs of tickets and only one prize per household will be awarded. Prizes must be accepted as awarded. No cash alternatives, substitution, or transfers of the prize will be permitted. Prizes must be picked up at a Fresno County Public Library branch selected by the winner. Additionally, winners agree that Fresno County Public Library may use images of their coloring page and their name, for advertising and publicity purposes without further compensation (except where prohibited). Fresno County Public Library is entitled to interpret these rules as required and its decision is final. This prize draw is subject to all applicable federal and state laws and regulations. These incentive prize rules are subject to change without notice in order to comply with any applicable laws or the policy of any other entity having jurisdiction over the prize draw.